Everyone who visits Moffats admires our view across typical rolling English countryside. But not far from here the children can climb the rocky Clee Hills – and the next hills of this height to the south-east are, believe it or not, the Ural Mountains of Russia. 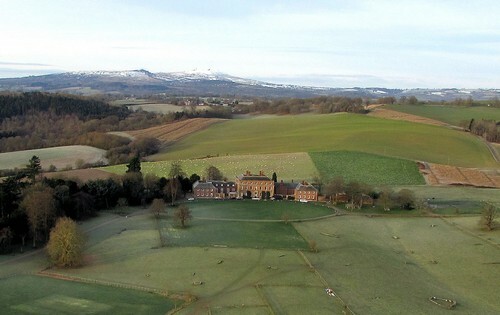 This photo, taken from a hot-air balloon, shows a snow-clad Titterstone Clee looming behind the house. 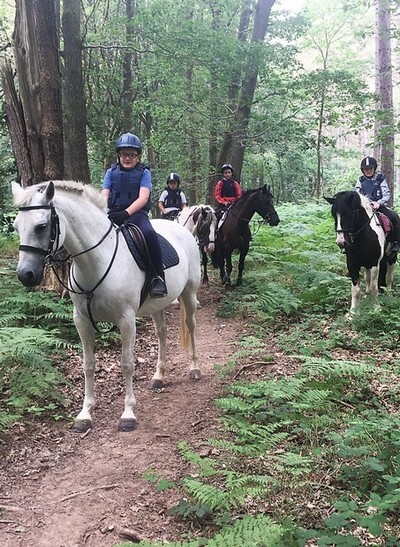 Just 5 minutes from Moffats is the Wyre Forest, an ancient area of woodland that our riders are able to explore on horseback. Among our local towns are Bewdley and Bridgnorth, both on the River Severn and both ideal for short educational visits or to do a little shopping. 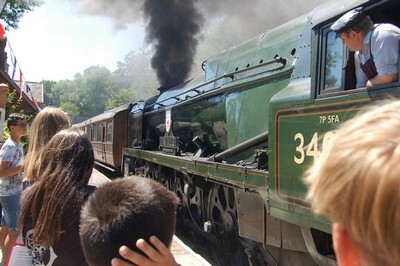 And linking the two is the Severn Valley Railway, where we can go to admire majestic steam engines at work.